it is my first post here! 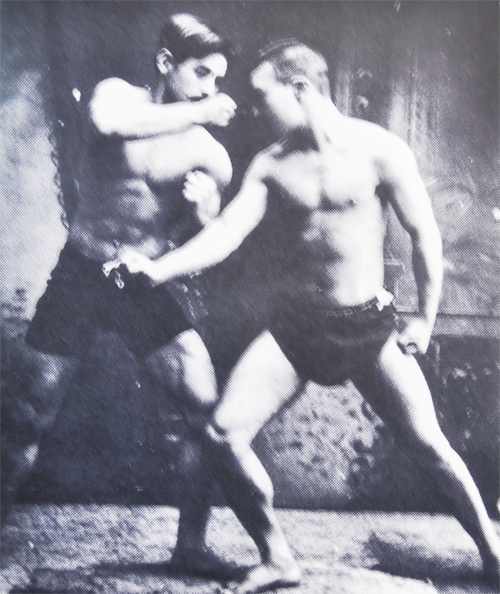 To say right away, I am no jūdōka, but practice Karate and research its history, so I do not know much about the actual techniques in Jūdō. I am interested in Budō and Jūdō history however, particularly in Mifune Kyūzō 三船久蔵 as of now. On top of that is an abundance of articles and all sorts of contributions to magazines and journals. The most famous book in English is "Canon of Judo" I believe, apart from that the rest seems hardly to be translated at all. Can anyone of the history experts tell me a reasons for this? Is it just not worth from a business perspective or is the Kōdōkan up for something? Mifune has a good reputation in Jūdō, hasn't he? Maybe the question seems weird but I was surprised that virtually nothing about him is available in English or any Western language. While I am at it, does anyone have suggestions for good books on Jūdō history? German, English, Japanese - it doesn't matter. Below are photos of young Kyuzo Mifune from Mifune Judan Museum. betterjudo.com - wrote: The next morning, we went back to the Mifune Judan Museum. Sensei Hisamatsu was waiting for us. He arranged free entrance for our group, which I thought was very kind of him to do. There is much to see in the museum; his gi, formal clothing, calligraphy, awards, certificates, etc. Three different video clips of Mifune, each around six minutes long, can be viewed. What truly amazed me, however, was two photos of Mifune. Everyone knows that Mifune was small; maybe 5’1’’ and 110lb. 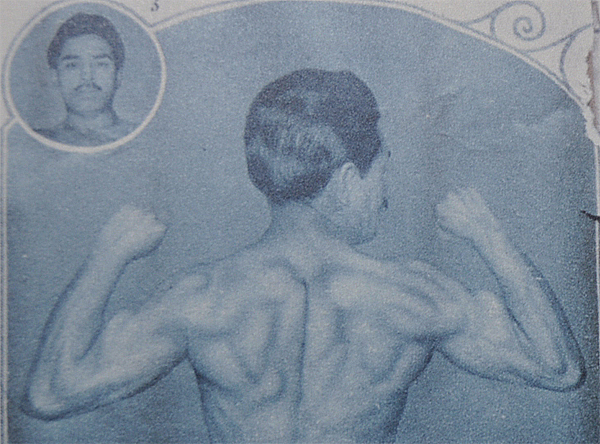 I was shocked when I realized within that small frame was the musculature of a body builder. See for yourself. Taken when Mifune was 24 years old. Small, not puny! Mifune is on the left. Mifune also wrote a 5 volume, comprehensive book-set on judo - "Judo Koza 1-5" (Matsumoto, 1955). Not available in English. pipi wrote: While I am at it, does anyone have suggestions for good books on Jūdō history? German, English, Japanese - it doesn't matter. One book that you may like is : “The Fighting Spirit of Japan: The Esoteric Study of the Martial Arts and Way of Life in Japan” by E. J. Harrison. This is no scholarly work, but E. J. Harrison lived a long time in Japan, practiced a lot of Judo, and was a student of Mifune, amongst others. Have no falsehood in mind. Ruluctance or deceit are not conducive to the inner harmony required by Judo practice. Learn to act wholeheartedly, without hesitation. Show reverance toward the practice of Judo, by keeping your mind in it. The center of gravity follows the movement of the body. The center of gravity is the most important element in maintaining stablility. If it is lost, the body is naturally unbalanced. Thus, fix your mind so that your body is always in balance. Minimize the use of strength with the quickest movement of body. Acknowledge that what is called stillness and motion is nothing but an endlessly repeated process. Mastery of Judo cannot be accomplished in a short time. Since skills depend on mental and physical application, constant training is essential. If you become self-centered, you will build a wall around yourself and lose your freedom. If you can humble yourself in preparation for an event you will surely be better able to judge and understand it. In a match, you will be able to detect the weak point of your opponent and easily put him/her under control. To master an actual technique, mental culture should come first. Acquiring a technique requires a careful, modest, non-mean, free and attentive mind. In other words a player should do his utmost and nothing less. 写真館 Photos - http://www.kuukinage.com/syasin.html - photos of some personal Mifune's objects - calligraphies, suits, judogi, certificates for 10.,8.,7.,6.dan etc. There is plenty of info about Mifune sensei on the internet. Some of it is even true. Many prewar judo technical books would likely not sell well today. In fact, few judo books sell well period. Yes, Mifune sensei has the reputation as one of the greatest judo technicians in history. Do you read Japanese at a fairly high level? In English I highly recommend Brian Watson's Judo Memoirs of Kano Jigoro to start. Every judoka should have it.